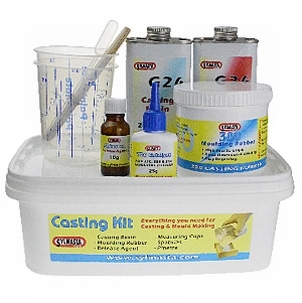 Comprehensive casting kit containing everything you need to start casting in resin. Replicate modified kit parts or copy a master multiple times for repetitive tasks. CLICK HERE for a video demonstration if you’re still not sure.